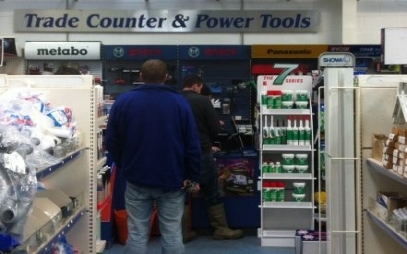 All your hardware, bathroom, door, garden machinery and stove needs under one roof in Armagh. 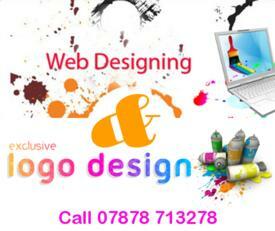 We have SPECIAL OFFERS in all our departments. We specialise in stoves, bathrooms, doors and gardening machinery in Armagh but we also cater for all kinds of DIY, professional tools and accessories. 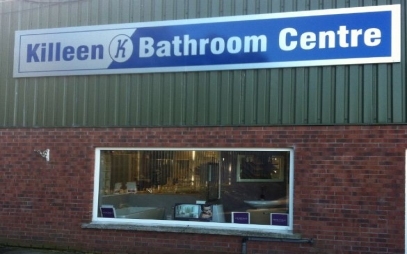 We have a bathroom showroom, stove and fireside showroom, door centre, paint and decorating department, key and glass cutting service, gardening department including our own authorised machinery repair department, as well as a wide range of power and hand tools. Come along to our store for a look around where you'll find a whole lot more. 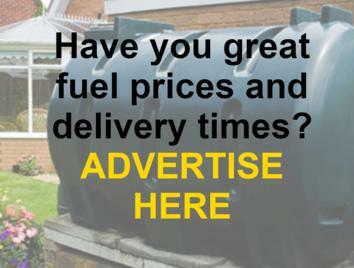 We are able to deliver gas and coal to Newry, Monaghan, Dungannon and Portadown. 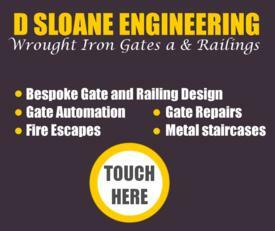 We supply decking, fencing, building supplies, lawnmowers, strimmers, tiles, bricks, oil tanks, septic tanks, insulation materials, work wear, work gloves. 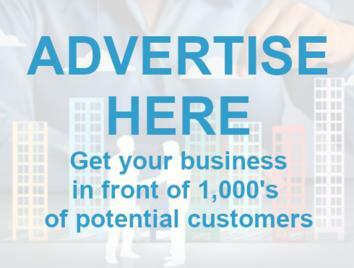 We supply hardware to customers from across Armagh and surrounding areas, including Markethill, Moy, Middletown, Darkley, Richhill, Tandragee, Keady, Milford, Killylea, Caledon, Tassagh, Poyntzpass, Scarva, Loughgilly, Mountnorris, Laurelvale, Collone, etc. 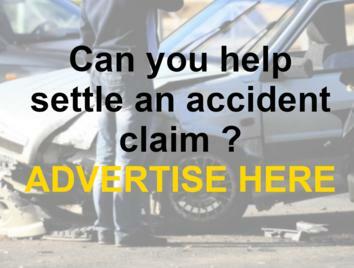 We offer a delivery service to all over Northern Ireland. 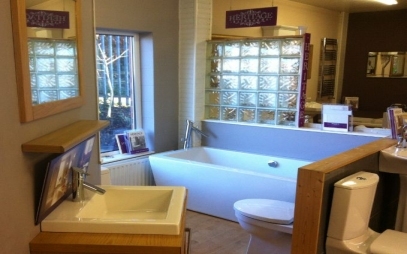 Our bathroom showroom has all types of bathrooms suites set-up for viewing and ready to take home today. We stock a wide range to suit all budgets and tastes, so if you are looking for special bathroom or a budget suite, we stock them all. Our Gardening Department stock a wide range of quality lawnmowers, gardening equipmentand and garden machinery, including ride on mowers, push mowers, strimmers, spades, garden forks, blowers, pole cutters, brush cutters, trailers, fertiliser spreaders, log splitters, back pack blowers, hedge trimmers, wheel barrows, etc. 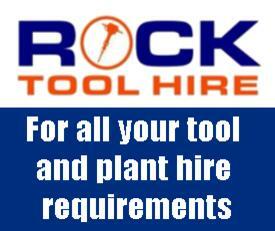 Brands stock include Kubota, Haytor, Mountfield, Rover, Toro, Al-Ko, Gardencare, Castlegarden, Husgvarana and Masport. We provide heavy & light work trousers, work shirts, body warmers, socks, knee pads, belts, work belts, fleece jackets, hooded sweatshirts, t-shirts, ear protectors. 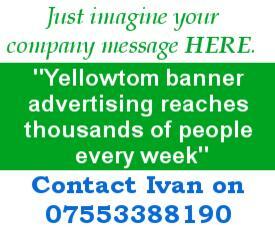 We stock the following brands Bekina, Lee Cooper, Portwest, Snickers, Tuff Stuff, V-Tech, Jack Pyke, etc. We have the machinery and colour matching technology to mix 1000's of different colours and supply all types of interior and exterior wall and floor paints. We stock everything you need when it comes to painting and decorating, including paint brushes, rollers, extendable handles, masking tapes, etc. 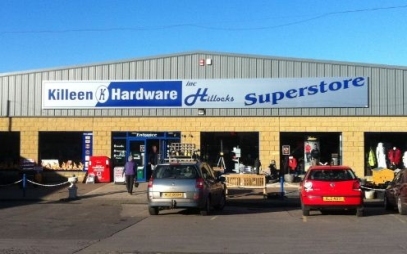 Our extensive hardware department stock everything you would need to complete any DIY project or commercial job. We stock all types of screws, nuts, bolts, pop rivets, glues, tapes, 'Fakro & Velux windows & Fakro Loft Ladders, ironmongery fixings and fasteners, handtools, nailgun systems, etc. Killeen Hardware stock all types of electric and battery operated power tools at competitive prices, including drills, grinders, jigsaws, chainsaws, etc. 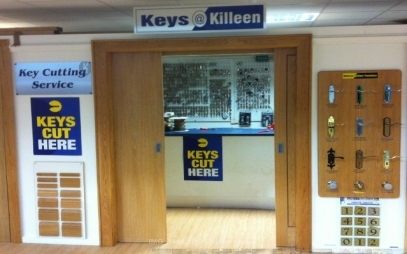 We provide a key cutting and glass cutting service. 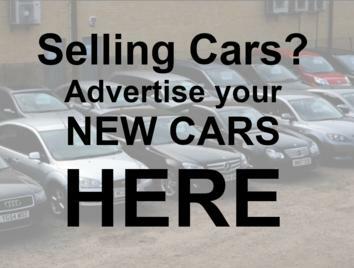 We have the machinery and technolgy to cut most keys for cars and buildings. Our glass cutting team can cut and deliver any size panes to suit your size requirements. We stock a wide range of doors, door frames, door furniture and door accessories ready to take away and fit today, including external doors, XL' doors, internal & external fire-doors, internal doors, engineered doors, letter boxes, door knockers, door hinges, etc. Killeen Hardware is your No. 1 local timber merchants and stock a wide range of timber for all the DIY enthusiast & commercial requirements of the building & allied trades such as builders, carpenters & joiners. We offer a range of builders roofing timbers & floor joists along with sections and mouldings for staircases, balustrades, skirtingboards & door casings etc. We supply all types of timbers, including plywood, MDF, hardboard, chipboard sheet, etc. For the Garden we offer Fencing Sections, Fence posts, Decking systems, Railway sleepers & firewood for your home burner or Chiminea. Come and visit our stove showroom and see our extensive range of fireplaces, multi fuel and wood burning stoves available. 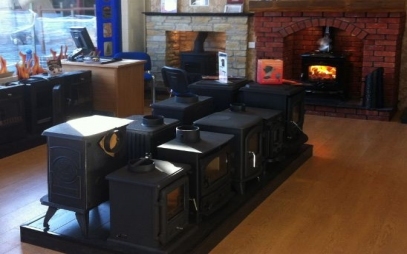 All stoves are available for delivery or taken away on the same day. We also stock a wide range of fireside accessories and coal buckets.